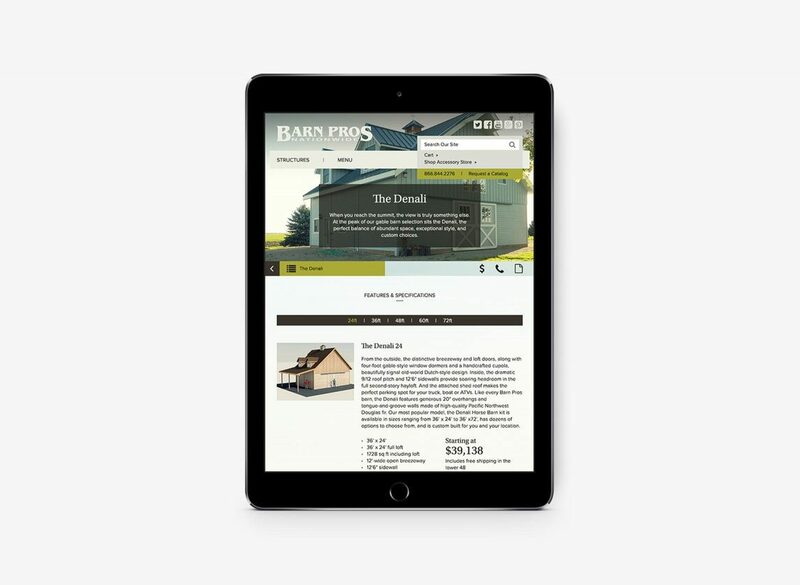 Barn Pros creates beautiful, thoughtfully designed structures that can be designed and delivered modularly. This is miles beyond a Home Depot shed. From the materials, to the sophisticated architecture, to the animal-friendly design, to the seamless delivery and installation: these guys elevate the kit build category to a level you’d expect from a custom designer. They needed a website that elevated their brand in the same way, but it also needed to be extremely hardworking. These are high-end purchases made through an eCommerce site, which means we needed to support shoppers throughout their journey with rich content and seamless functionality. 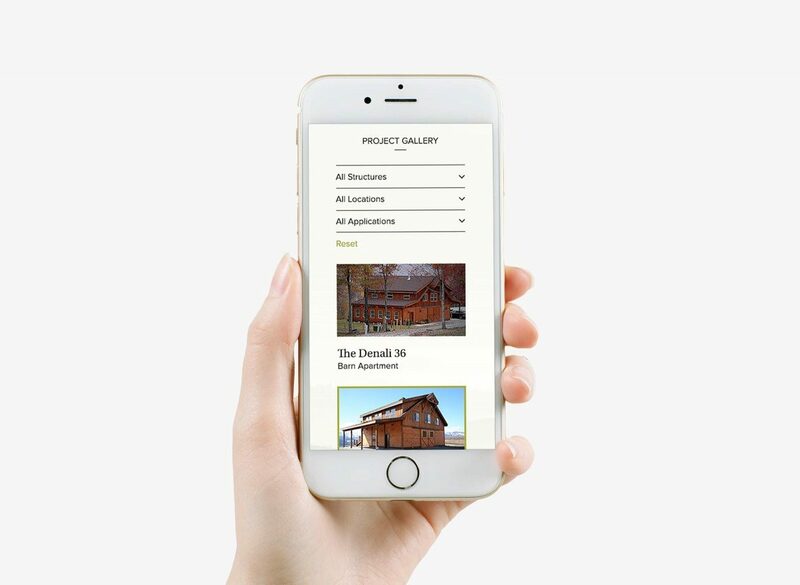 What we quickly realized is that a barn is not just a big shed… it closely tied to a dream and a vision that people have about how they live and what they value. 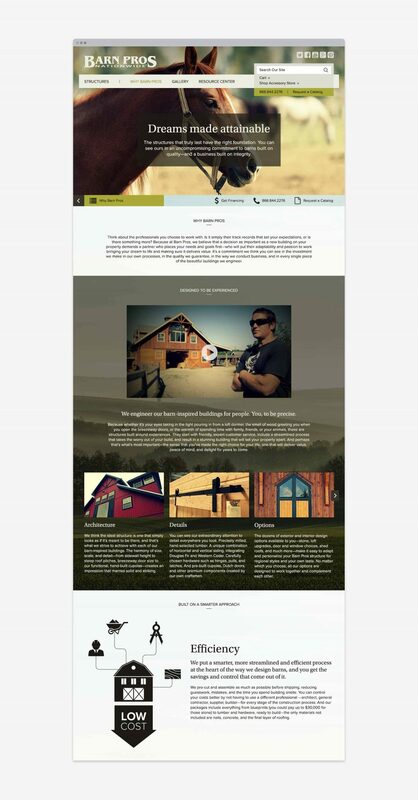 Barns are in fact a lifestyle brand, and we embraced that with imagery and content that helped people see themselves in these barns, as well as highlighting the barns themselves. When it came to functionality, we took inspiration from an unlikely source: automotive sites. Cars, like barns, are highly emotional, highly functional and high-priced products. We crafted the site to support deep information and customization without losing the magic and elegance that inspired the purchase in the first place.